What Does The WWE Do With Brock Lesnar? It’s like 1997 all over again…well not quite. 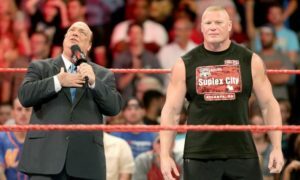 The WWE champion will soon be without a contract and the wrestling world is wondering what will happen with Brock Lesnar. 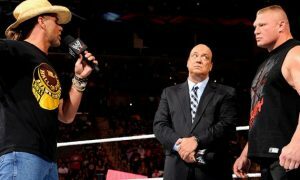 Does the WWE need to continue its WrestleMania plan or is it time for Stamford to call an audible? The contract of Brock Lesnar is not exactly a big secret. The WWE world champion will be wrestling the last match on his current contract at WrestleMania 31, as things stand today. Not since 1997 and the famed Montreal Screwjob has the WWE had its world championship around the waist of a guy with an expiring contract. 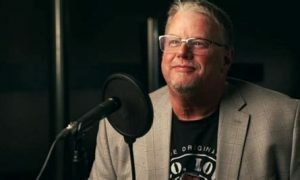 With WrestleMania plans laid out months in advance, what in the world do you do if you are the WWE and how could they let it get to this point once again? 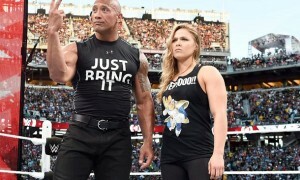 The WrestleMania 31 plans have been fairly predictable for the last several months. As several sources have reported, the working plan is to pit Roman Reigns vs. Brock Lesnar in the headliner with Reigns going over for the WWE title. That would give Lesnar another win over Cena in their series at the Rumble. Is it time to rethink this plan? A lot of bloggers and podcasters are screaming about taking the belt off of Lesnar. Many feel that the WWE just can’t have Lesnar go into Mania with the title and no contract. I say why not? This isn’t 1997, 2007, or any other year like those in the past. The wrestling business is different and with zero chance of Lesnar jumping anywhere with the WWE world title, I think you proceed as planned. The WWE like to position themselves as sports entertainment. To me, this is no different than a leading actor or actress in a television series that can’t come to terms on their new contract. The character is written out of the show and is generally working up until his or her contract expires. Sure there is the threat of a strike, but Lesnar is not going to no-show in the middle of negotiations. So what exactly is there to be afraid of? Are some afraid that rumors or news of the WWE champion signing with UFC or Bellator will somehow diminish the credibility of the WWE world title? You know, the same WWE title that has been defended a handful of times since August? It will be 2015 and I don’t think anyone other than those stuck in the old school bubble will see the WWE or its world title as anything less than they are today with those kinds of headlines. It’s a different world. I hope the WWE proceeds without deviating from its plan. If Reigns is to be that “guy”, no win will be bigger than a win dethroning the unbeatable champion Brock Lesnar. Adaption is fine, but changing course of something so minimal in today’s wrestling climate is not the answer. Brock Lesnar needs to march into WrestleMania 31 as the WWE world champion whether he is under contract two weeks later or not.